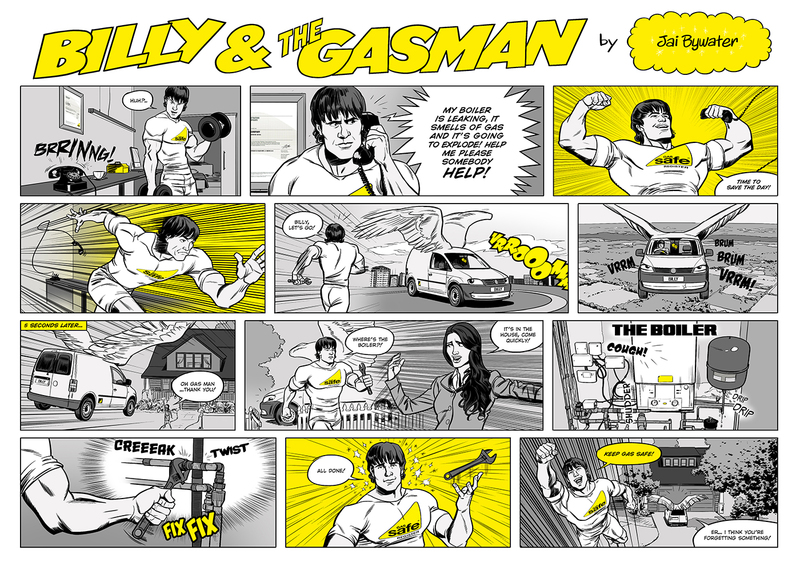 Work created for Gas Safe Register, the official list of gas engineers who are registered to work safely and legally on boilers, cookers, fires and all other gas appliances. The idea was to shortlist four of the children’s pictures/short stories, and transform them into comic strips re-drawn by a professional. That’s where we came in! 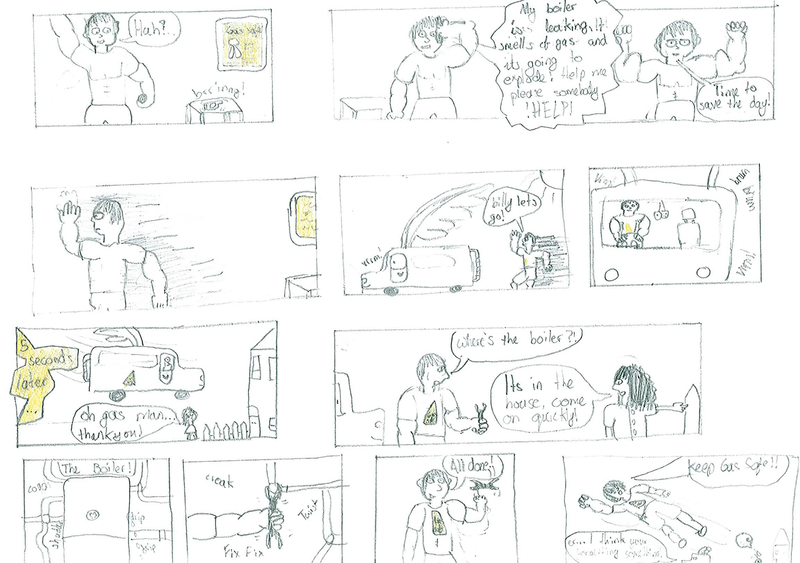 Who would be better for this job than our very own superhero illustrator, Billmund. The overall winner, Poppy (age 10), also had her entry made into a short animation by our animation director Katy Davis. You can see the final result at the top of this page. Great care was taken to ensure that the character designs and colours used by the kids were adapted as faithfully as possible. It was important for us to retain the energy and sense of fun inherent in the source material, and to celebrate the work of engineers in keeping people gas safe. 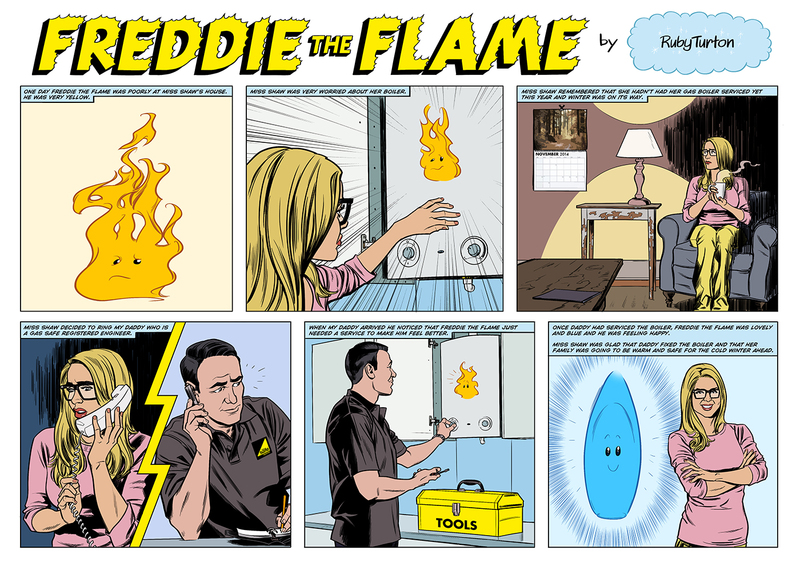 Aside from gas safety awareness being raised across the UK, the client, the winners and their families were all very proud and excited to see their drawings and stories made into real comic strips and an animation! 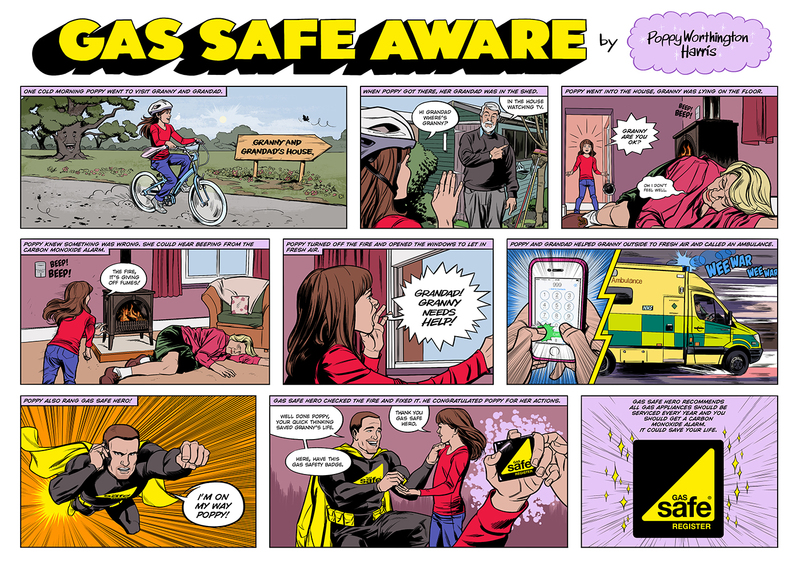 The short film was screened, and the illustrations exhibited, at the Gas Safety Week launch event at the House of Commons, and we were informed that it “went down a storm”. 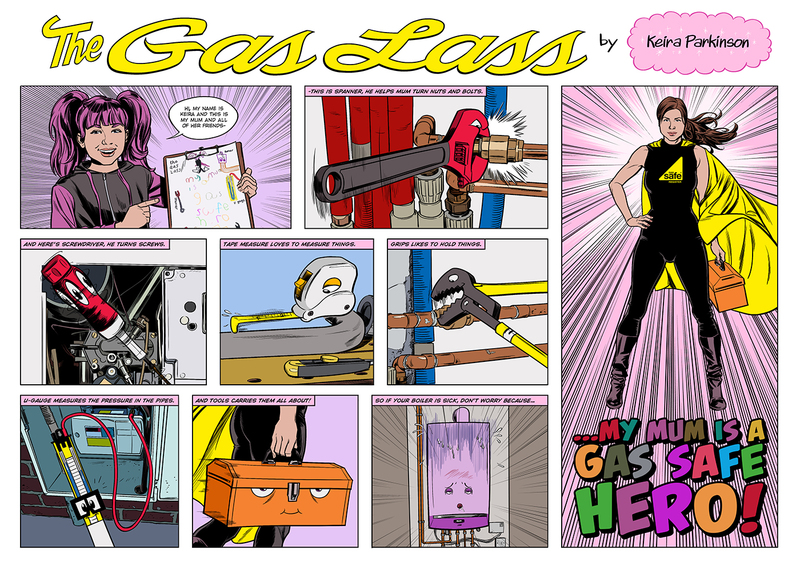 So much so that other stakeholders of Gas Safe Register wanted to use them in their comms for Gas Safety Week the following week which was great, and a real first for them.